6 Pack of Pint Pots Assorted Succulent Kit (Grower's Choice) Picture is only a representation, actual plants may differ. 0' to 1', 1' to 2', 2' to 3' tall and 1' to 2', 2' to 3', 3' to 4' wide. About 6 Pack of Pint Pots Assorted Succulent Kit (Grower's Choice) Picture is only a representation, actual plants may differ. 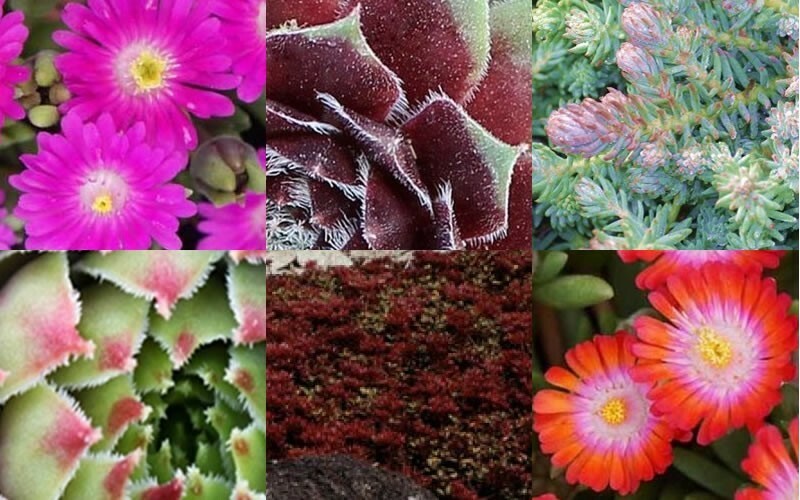 6 Pack Succulent Kit is a moderate growing perennial plant and succulent plant that can be grown in USDA Plant Hardiness Zones 5A through 10B. It matures to an average height of 1 inch to 3 feet and an average width of 1 foot to 4 feet, depending on climate and other environmental factors. The foliage is blue green, blue, grey / silver, pink, light green, medium green and dark green in color. 6 Pack Succulent Kit can be useful in the landscape along woodland borders, in mass plantings, in containers or planters, as a background, as an accent, under a shade tree, as a groundcover, in hanging baskets, in landscape beds or islands or mailbox plant and also in cottage gardens or perennial gardens.